The Limb is on the upper level of our 4-plex Building. 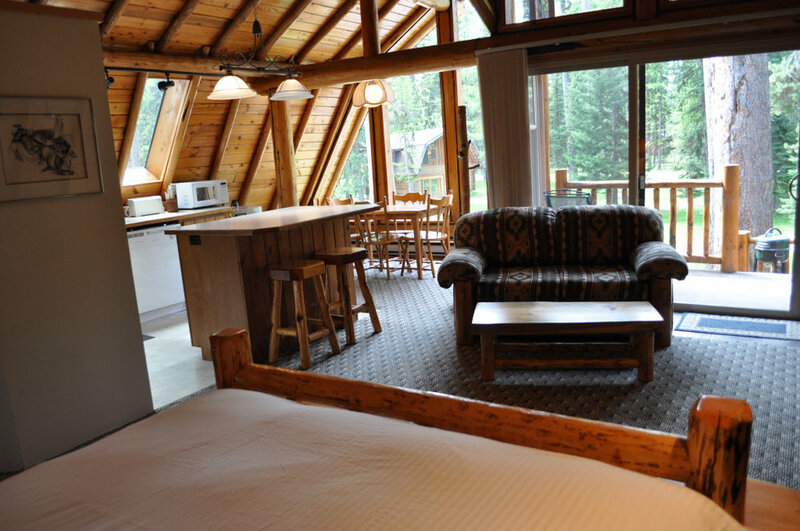 Its sits on the forest side of the resort, with a peaceful view of the large larch trees, and even has an active robins nest in the logs by the window! 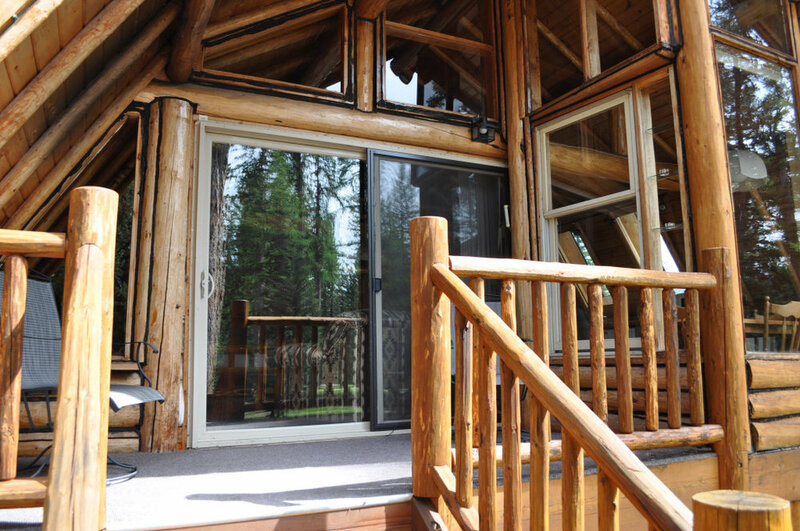 With its Massive log beams and walls, vaulted celling, open floor plan and full wall of windows overlooking the forest, this cabin is very cozy and lets you experience to true relaxation of living in nature. 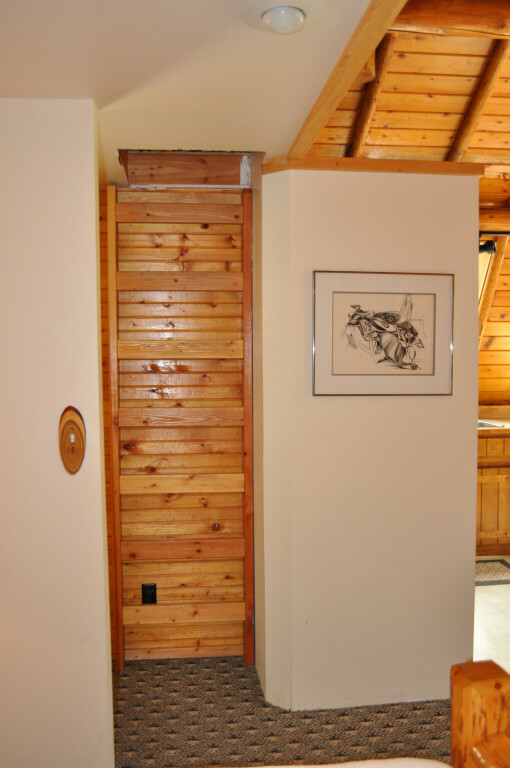 It is equipped with a full kitchen with dishwasher. Large island with stools for seating. Four person dining table. 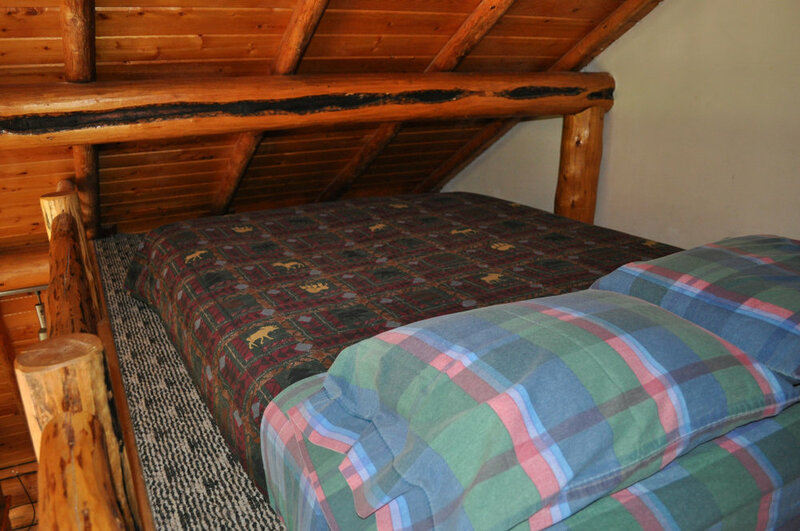 King bed in main room, with a loft double bed. Living room with air conditioner. Bathroom with shower. Deck with seating and propane barbeque.